Specially developed by Dr. Barbara Sturm (a world-renowned expert in the field of non-invasive anti-ageing) this eye cream targets exhausted eyes, taking on swelling, bags and dark circles. 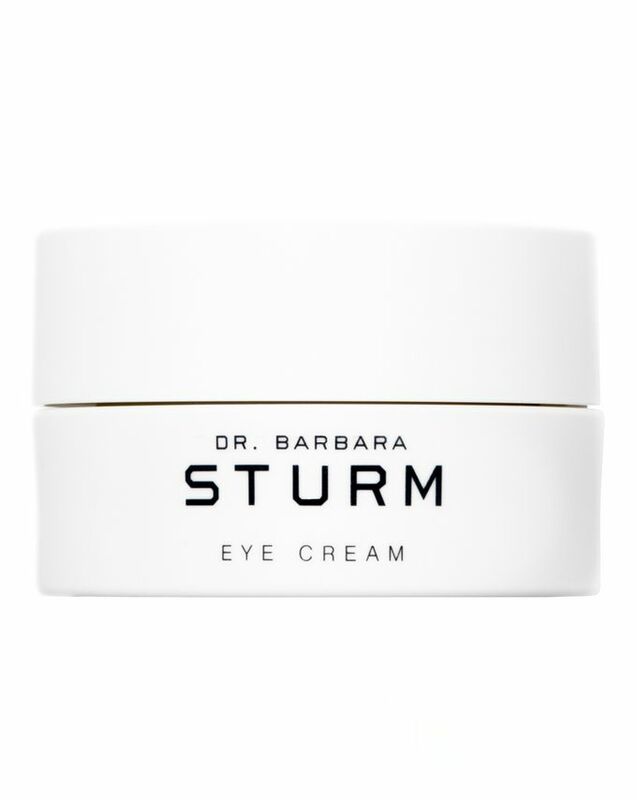 Like all of Dr. Sturm’s products, this combines potent natural compounds with medical molecular active substances to protect against skin ageing and assist in regeneration, which is particularly important around the delicate eye area. The thinnest and (probably) most problematic area of skin on the face, our eyes can easily look exhausted, often shrouded in dark shadows, bags and swelling. 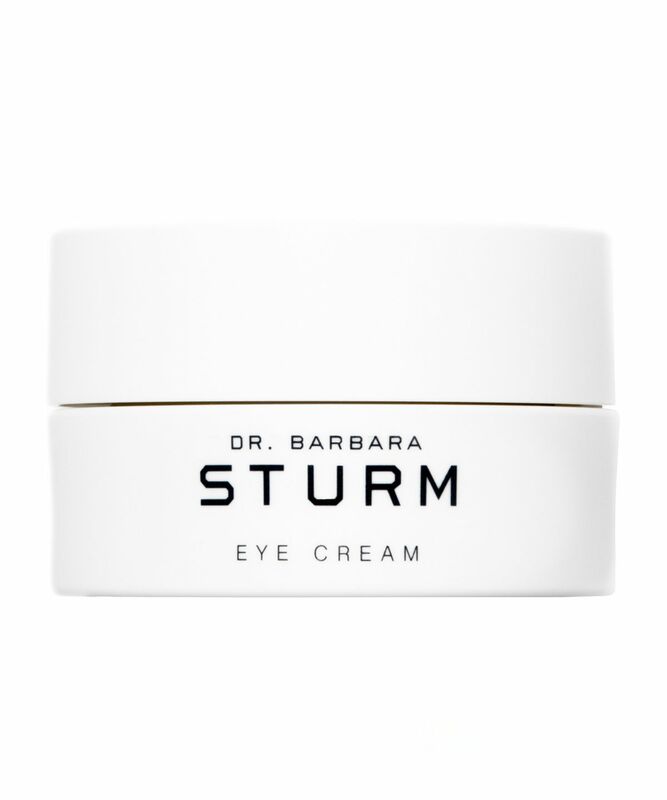 Coming to the aid of tired eyes, this Eye Cream has been specially developed by internationally-acclaimed aesthetics doctor Barbara Sturm, featuring her signature combination of powerful natural compounds and medical molecular active substances. Potent antioxidants purslane (the key ‘super plant’ used across Dr. Sturm’s range) and skullcap extract (a renowned healing plant similar to mint) protect and strengthen the sensitive skin around the eyes, while a special complex of golden root, sugar beet and yeast provide a soothing, de-puffing effect. Active omega lipids help the skin to retain its moisture and give it a youthful boost, refreshing skin without overburdening it. Use in the morning, after cleansing the skin with CLEANSER. Apply gently to the delicate skin around the eyes. On my third pot, it’s expensive but I find this really works on fine lines. Have tried other eye creams in between pots but as soon as I start using something else I see wrinkles appear. It really just gives eyes a much younger appearance. Received a sample size of 5mls from my friend. This hydrated my under eye and reduced some fine lines with continual usage. Didn’t cause milia and irritate my eyes. You will simply need a pea size each time and the small tube could last me for about 3 weeks. Wonderful product! I love this! lightweight, it doesn't make you puffy, moisturising... everything you'd expect at £105 . First of all this stings. Does it work? Maybe. It seems to firm and help with puffiness a bit. It does nothing for dark circles or fine lines. It definitely is not moisturizing, and concealer does not apply well over it. Because of the slippery consistency of the product, it is extremely difficult to get it out of the tub it slides off your finger - not to mention that it introduces bacteria into product. I would suggest using something to scoop out. I wouldn’t buy again. I got the tiny little sample with my order from Cult Beauty and - what a difference! The effect was startling, and in a matter of 3 days of daily night time use, my family started seeing a visible difference. Being prone to eye allergies all my life, I have developed fine to moderate wrinkles around the eyes, already in my early 30s. This cream made all the fine wrinkles disappear and the deeper ones much less visible. Co-workers commented by day 5 and the tiny sample lasted 2 weeks! I am excited to order the full-size product now!